As a Class X student at Mirambika School for New Age in Bengaluru, he has the onerous task of managing academics and racing. Coimbatore: At 15, Tejil Rao is the youngest racer at the JK Tyre FMSCI national racing championship. Born with a rare condition known as club foot, in which the feet are curved inwards, the Bengaluru racer had to go through surgeries when he was just a few months old. The setback did not, however, stop him from pursuing his passion for racing. 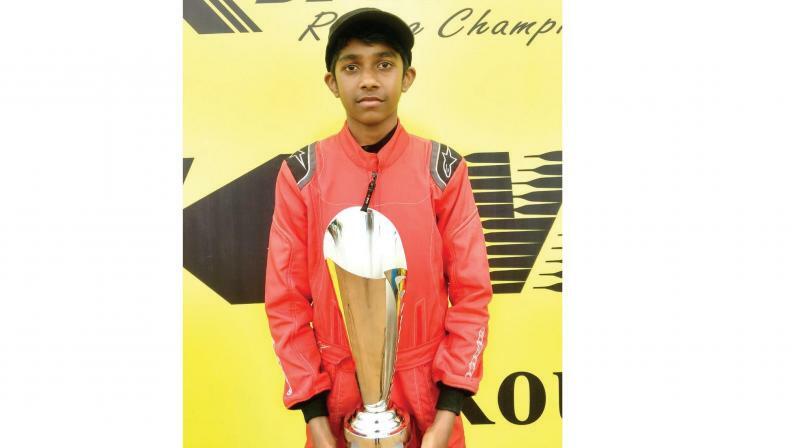 As a 14-year-old, Tejil finished seventh in the national rotax karting championship. Soon he found the pace of karts not enough. Hungry for more, Tejil made his debut in Formula LGB 1300, which is part of the MRF national racing championship. “I had been following racing for quite some time when I was in karting. I told my father I wanted to go faster,” said Tejil who reached his first ever podium in the Novice category here.